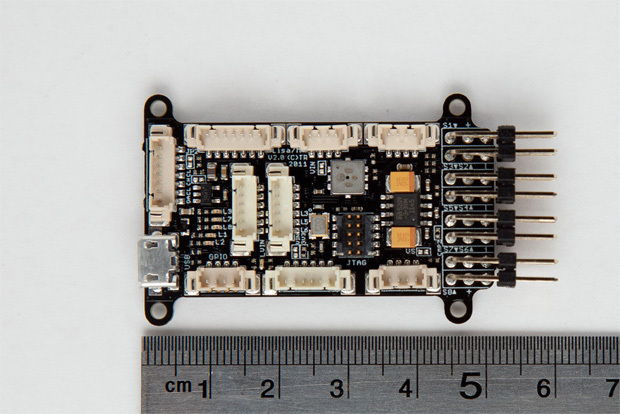 Researchers claim to have designed, built and tested the world's smallest autopilot for tiny unmanned aircraft. A smaller — and lighter — autopilot allows these small flying robots to fly longer, fit into narrower spaces or carry more payloads, such as cameras, researchers said. That makes them more suitable to be used in for example rescue operations, they said. "Our aim? Make micro air vehicles (MAVs) so small and light that every fireman can fit one in his pocket," said Bart Remes from the Micro Aerial Vehicle Laboratory at the TU Delft faculty of Aerospace Engineering in Netherlands. 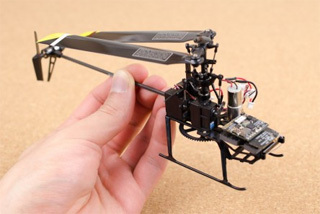 Called Lisa/S, the world's smallest autopilot for micro aerial vehicles are small flying robots that can be used in safety and rescue operations. It weighs 1.9 grammes, more than 30 grammes less than its predecessor. The autopilot measures 2cm by 2cm. We programmed new software, Superbitrf, that keeps the autopilot connected to a ground station and a normal RC transmitter at the same time - said Remes. This combination of functions made it possible to miniaturise the autopilot. Making the autopilot smaller and lighter allows a micro aerial vehicle to stay up in the air longer and carry heavier cameras and sensors. This makes it easier to use MAVs in for example search and rescue operations, researchers said. The research team have chosen to develop Lisa/s open-source to make it possible for users to test it and come up with suggestions for improvement. Making all the details available online also helps to make MAVs easily accessible for all, researchers said. "Our aim is to make MAVs as commonplace as smartphones and laptops. Farmers can use MAVs to inspect crops for example. Our dream is that every firefighter carries a MAV in his breast pocket to use for inspections of collapsed or burning buildings without having to go inside," said Remes.